Hello? Is this a joke? 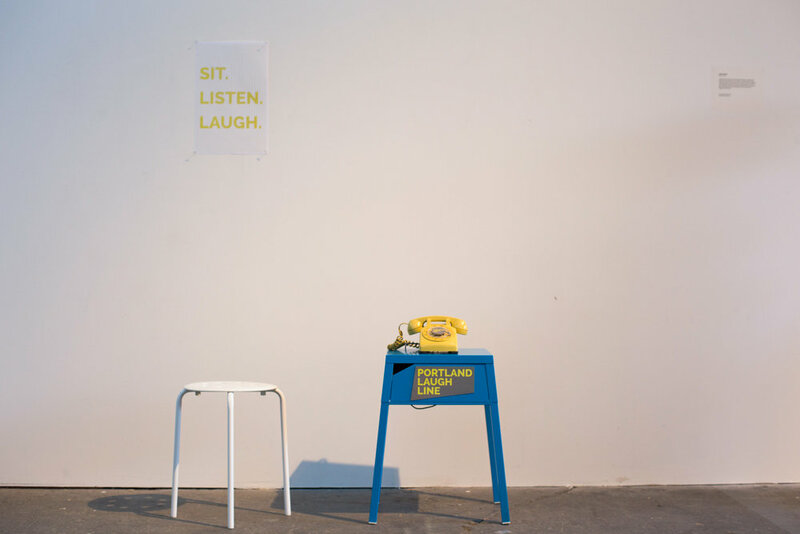 The Portland Laugh Line is a rotary phone that delivers jokes from comedians who live and perform in Portland, OR. The phone has been gutted, outfitted with a microprocessor, and re-wired to make people laugh. When someone picks up the phone they'll hear a joke. The phone answered with jokes from Curis Cook, Gabe Dinger, Alex Falcone, Katie Nguyen, John Washington, Dan Weber, Dinah Foley, and many more. 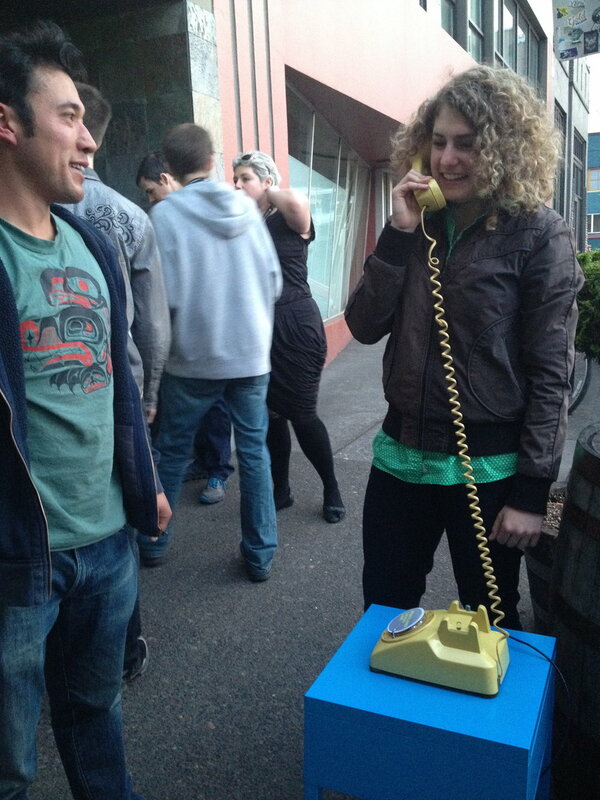 Do jokes need to be told on stage or can they be delivered through an old-fashioned phone on the street? Shown at Bridgetown Comedy Festival in May 2014 outside of Analog Theatre and inside Helium Comedy Club; and at the FURTHERMORE show at PNCA in October 2014. Project created in collaboration with Sorob Louie. Project initially prototyped as the One Liner Line with Michael Neault, Sam Jeibmann, and Sorob Louie. The Portland Laugh Line travels around the city to comedy venues, galleries, street corners, parks and wherever it looks like people could use a laugh.